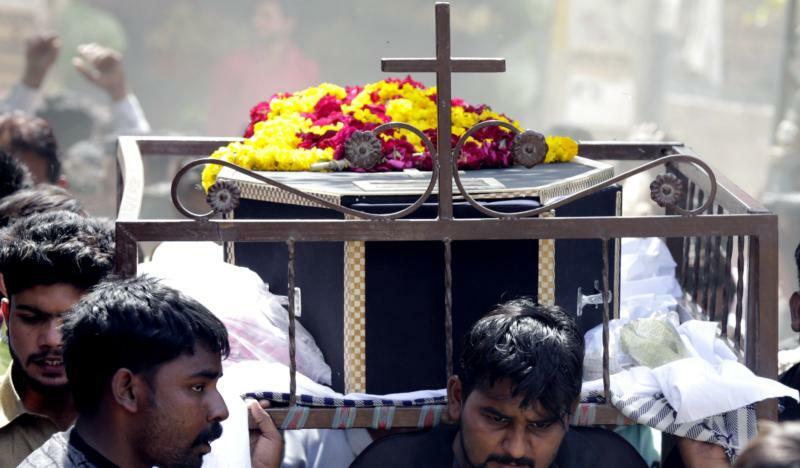 KARACHI, Pakistan (CNS) — The terrorist attack that killed more than 70 people in a Lahore park on Easter was not the first time that Christians in the Islamic country have been targeted, and observers say that, as things stand, it will not be the last time. Pakistan, carved from British India, was created in 1947 after Muslims of the Indian subcontinent called for a separate homeland. Although Muhammad Ali Jinnah, the nation’s founder, said citizens may belong to any religion, a resolution proclaiming that the future constitution of Pakistan would be modeled on the ideology and principles of Islam was kept as a preamble of the constitution. In 1985, when it was made an integral part of the constitution, Pakistan became an Islamic republic, and the Council of Islamic Ideology and the Shariah (Islamic) court were established. Many Islamic laws were passed, including blasphemy laws and the Hudood Ordinance (Islamic criminal code), reported ucanews.com. Christian leaders have long campaigned against the misuse of blasphemy laws that have led to incidents of mob violence. The law mandates that anyone who “blasphemes” the Quran is to be handed a death sentence. Shahbaz Bhatti, the federal minority affairs minister, was murdered in March 2011 by Islamist gunmen after he spoke out against Pakistan’s blasphemy laws. In recent years, Christians were targeted in terrorist attacks that left hundreds dead. Two bomb blasts at churches in Lahore in March 2015 killed 14. A twin suicide bomb attack at a Peshawar church in 2013 left around 80 dead. In 2009, at least 40 houses and a church were burned by a mob in Gojra, with eight people burned alive. In 2005, a mob claiming Christians had burned pages of the Quran forced hundreds of Christians to flee their homes in Faisalabad; churches and Christian schools were set on fire. More than 95 percent of Pakistan’s 180 million people are Muslims. Less than 2 percent are Christians, Hindus and other religious minorities. Catholic educators have long maintained that the textbooks used are written with “a biased mindset” by Muslim writers who do not make allowances for the teachings of religions other than Islam. Moreover, textbooks — even science texts — quote excessively from the Quran, ucanews.com reported. It said church officials have raised the particular concern that minority students’ unfamiliarity with these texts could leave them open to accusations by people exploiting the country’s blasphemy laws. Many of them have sought asylum in Thailand and Sri Lanka. Some representatives in the Christian community say there are 10,000 registered Pakistani asylum seekers between the two countries, ucanews.com reported.